Professor Yehuda Bauer is Professor Emeritus of History and Holocaust Studies at the Avraham Harman Institute of Contemporary Jewry at the Hebrew University of Jerusalem and Academic Advisor to Yad Vashem. Bauer is fluent in Czech, Slovak, German, Hebrew, Yiddish, English, French, and Polish. He was born in Prague, Czechoslovakia in 1926. 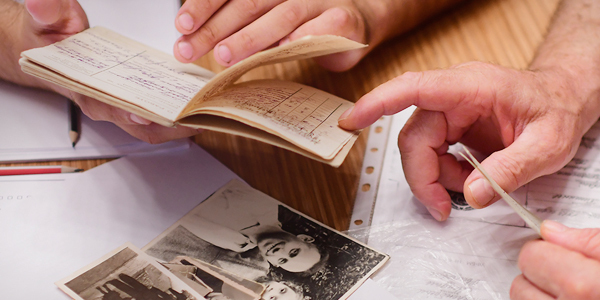 His family migrated to Israel in 1939. After completing high school in Haifa, he attended Cardiff University in Wales on a British scholarship. Upon returning to Israel, he joined Kibbutz Shoval and began his graduated studies at Hebrew University. He received his PhD in 1960 for a thesis on the British Mandate of Palestine. The following year, he began teaching at the Institute for Contemporary Jewry at The Hebrew University of Jerusalem. He was the founding editor of the Journal of Holocaust and Genocide Studies. 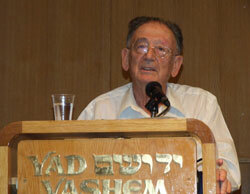 Bauer has written numerous articles and books on the Holocaust and on Genocide. In 1998, he was awarded the Israel Prize, the highest civilian award in Israel and in 2001 he was elected a member of the Israeli Academy of Science. Bauer has served as advisor to the Task Force for International Cooperation on Holocaust Education, Remembrance, and Research, and as senior advisor to the Swedish Government on the International Forum on Genocide Prevention.